STOCKPORT (Columbia County)—Imagine paddling up a serene stream, passing secluded forests and then landing to explore an uninhabited island or hike a woodland trail. 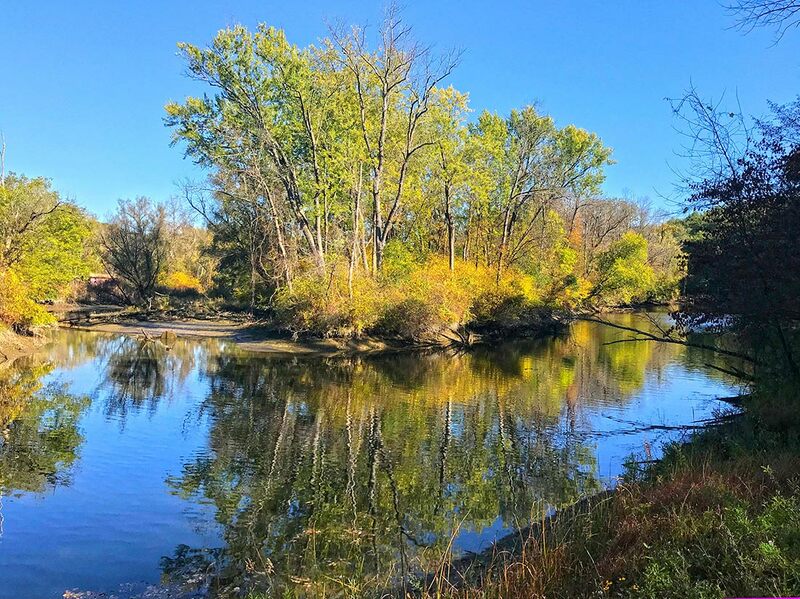 Soon, canoers and kayakers will enjoy that opportunity thanks to Scenic Hudson’s recent acquisition of 113 acres—including a 9-acre island—on Stockport Creek. The transaction protects nearly 1.5 miles of frontage along the creek, one of the largest freshwater tributaries in the Hudson River estuary. In addition to contributing significantly to the river’s water quality, the creek provides invaluable spawning habitat for many imperiled fish species. Conserving the property also helps to safeguard one of the river’s highest quality tidal wetlands, a prime nursery and feeding ground for many fish, located at the creek’s mouth. The acquisition will enhance recreational and educational opportunities for visitors to the Stockport Flats unit of the Hudson River National Estuarine Research Reserve, a popular destination for boating, fishing, birdwatching and nature studies. It offers the potential to create a landing for paddlers half a mile upstream from the Hudson as well as a trail from U.S. Route 9 that would connect the local community to the creek and the forested land along it. Scenic Hudson has preserved more than 1,300 acres in Stockport that are available for public enjoyment, including Harrier Hill Park, the Stockport Flats Wildlife Management Area, the Charles Flood Wildlife Management Area at the Empire Brickyard, Nutten Hook and Little Nutten Hook. Outdoor recreation is a major contributor to Columbia County’s $155-million tourism economy that sustains more than 2,400 jobs. “Scenic Hudson has been working with the former owners to conserve this magnificent property for more than a decade. Its protection strengthens the Town of Stockport's position as a destination for outdoor tourism and safeguards some of the Hudson River estuary's most important habitats, which attract wildlife and, in turn, many visitors to the town,” said Steve Rosenberg, executive director of The Scenic Hudson Land Trust. Key funding for this acquisition was provided by Scenic Hudson’s Lila Acheson and DeWitt Wallace Hudson Valley Land Preservation Endowment.